I am definitely not a stranger at repurposing thrift store baskets, and trust me, there will be more project ideas in the future. In fact, one of my most popular projects is this Easter wreath using a thrifted basket. But back to the selection of wicker baskets at thrift stores, have you ever noticed just how many shapes and styles there are? From the picnic variety, to cornucopia shaped horns…to flat basket trays and round ones for bottles of wine. And different shapes seem to work better with different home decor designs. 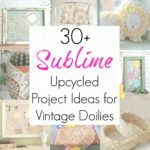 Which brings me to why I put this collection of upcycling ideas together. 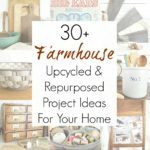 No matter how you decorate your home (farmhouse, Boho, country, eclectic, etc. ), baskets can easily play a role – for both function and decor. Now, I’m not suggesting you paint or upcycle a higher end one like a Longaberger or one your grandmother wove by hand. But, thrifted, flea marketed, or garage sale-d woven baskets? The sky is the limit! 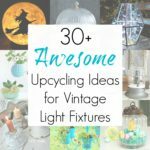 So, to get your creative juices pumping, I gathered some of my favorite repurposing ideas for them around! Well, what do you think- are you inspired to give any of yours a makeover? 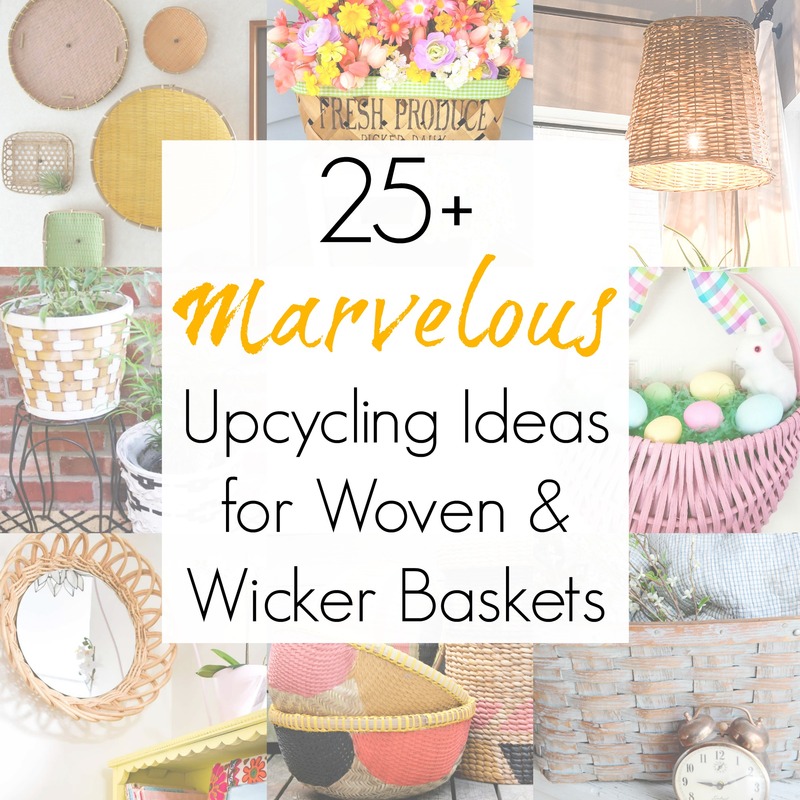 Or even more fun, go on a thrifting hunt for some new-to-you wicker baskets to add to your home? I actually am on the hunt for a couple of different basket projects and have VERY specific basket types that I’m looking for. So, stay tuned for those in the coming weeks! I love how inexpensive baskets can be AND how simple it is to upcycle them – even the cheapest craft paint can make a huge difference! 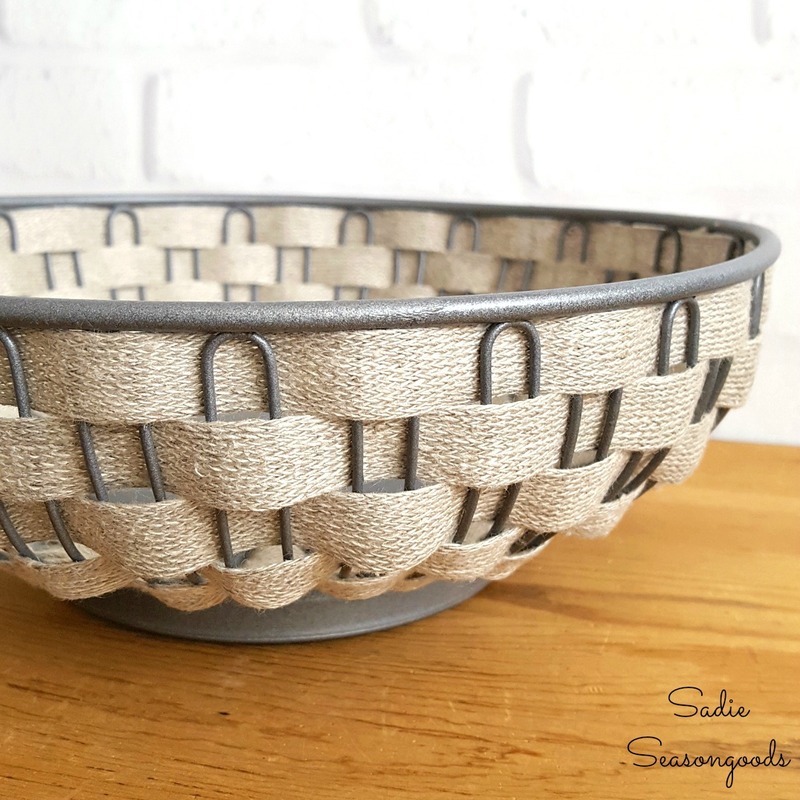 If you enjoyed these upcycling ideas for wicker baskets, then you might also be interested in this upcycling idea for silver plate bread baskets, as well! What a great round up! I love all the boho makeovers! You and me both, Tania! I had the best time looking at everyone’s ideas; I am a basket lover and have them hanging from and sitting on the beams in my cathedral ceiling-ed bedroom. Some have yarn piled in them, too! As I upgrade, I pass the less loved ones on! You can never have too many baskets to craft with. Thank you for putting this list together! I agree, Kathy – and so glad you enjoyed this collection!